2018 is the year of young people in Scotland. The idea is to inspire Scotland through its young people, celebrating their achievements, valuing their contribution to communities and creating new opportunities for them to take the lead. Research published by the Scottish Government in 2018, Young people’s participation in decision making in Scotland: attitudes and perceptions showed that while many thought “adults” were good at listening to their views, many other barriers to having their views and opinions heard existed for young people. One of the main challenges was a feeling that young people’s views are discarded because “‘it doesn’t fit with what they (adults) want to hear”. The North Ayrshire Youth Participation and Citizenship strategy is a “unique and transferable” youth-friendly children’s rights engagement process, which informs local policy, corporate priorities and strengthens the voices of young people in local communities. The framework “values and respects” youth participation as fundamental in the ongoing work to enable all aspects of community life to prosper. The programme of youth engagement undertaken at North Ayrshire saw them awarded a COSLA Gold award in a ceremony at the end of 2017. YouthBank –YouthBank Scotland is a grant making and empowerment initiative run by young people for young people. It builds on young people’s skills and experiences to enable them to give cash for action, funding young people’s ideas for the benefit of the wider community. Participatory budgeting initiatives – where young people can help to decide on funding applications for local projects. Local participation initiatives – including Youth Forums, Pupil Councils, North Ayrshire Youth Council, Youth Groups, Eco Committees, Sports Leadership and Peer Education schemes. National participation initiatives – the Scottish Youth Parliament, British Youth Council and the Lesbian, Gay, Bisexual, and Transgender (LGBT) National Youth Council. In December 2017, North Ayrshire launched its Year of Young People 2018 plan. Activities include ‘Joint Cabinet Live’ which will bring together young people from all over North Ayrshire via a live video link, to interact with the Council’s Cabinet Members on the issues faced by young people living in the area. There is a strong focus on co-production, facilitating decisions to be made with, not to young people. There is also an understanding that engaging young people in all aspects of community life, both at a social and an administrative level can have positive consequences for the whole community, not just for the young people who participate. The council engages with young people to ensure that they know their voices are heard and that council policy reflects their needs and aspirations for the future. It builds the skills and confidence of young people who have the opportunity to participate and can strengthen community engagement and cohesion as more people become involved. As part of the North Ayrshire participatory budgeting initiative, funding was allocated to youth projects across North Ayrshire, and young people given the opportunity to vote for where they thought the money should be spent. Each young Scot in North Ayrshire, was able to vote for three projects they thought would most benefit from receiving funding (projects varied depending on which North Ayrshire locality they lived in, but were all organised either by or for the benefit of young people in the region). They were able to vote in school, as well as in colleges, local youth clubs, or from home using their Young Scot card number to go online and register their choices. The results were announced on 9 February 2018 and saw funding allocated according to the votes of young people, with almost 7000 young people taking part, almost 50% of those eligible. In 2017, the North Ayrshire youth services team were awarded the COSLA gold award for their efforts. The award recognised the work of the Youth Services team in creating a culture of participation, which allows young people to have a real impact in shaping the services the Council delivers. For example, the Council operates a joint Youth Cabinet, which allows young people to work alongside Elected Members and be directly involved in the decision-making process. North Ayrshire’s engagement approach has been seen as a blueprint for engagement across the community within towns and cities across Scotland. 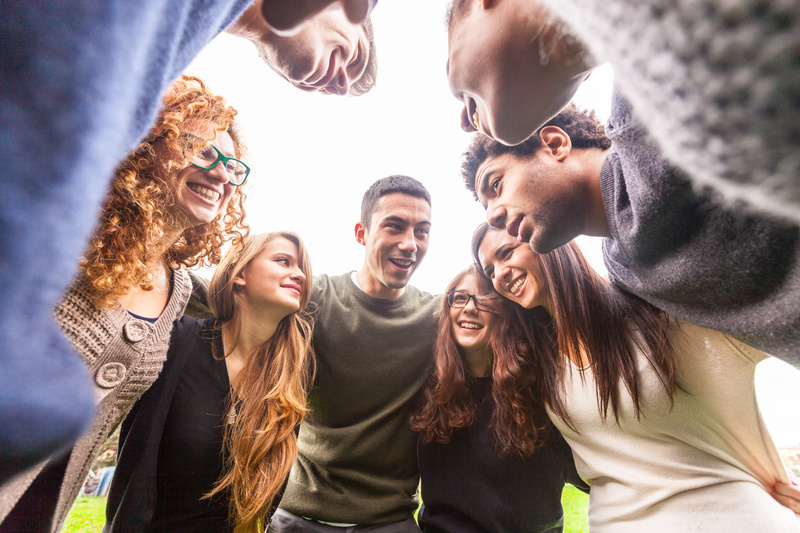 Three months into the “Year of Young People”, other local authorities are being encouraged to follow suit and rethink how they engage and use the voices and opinions of young people within their communities to support inclusive decision making. This entry was posted in Equality and Diversity, Government and politics and tagged citizenship, community, COSLA, decision making, leadership, North Ayrshire, Particiaption, Participatory budget, Scotland, Year of Young People, young people, YOYP2018. Bookmark the permalink. ← A digital identity crisis: is slow progress costing citizens and business?